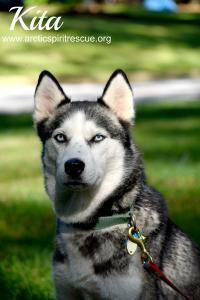 UPDATE: Congratulations to Kita and her new forever family! Kita came to us with some very specific needs. We knew she would thrive with a patient, Siberian experienced family that could provide the love and consistency she craved. We are pleased to report that she has settled in beautifully and has charmed the entire family. We love happy endings! 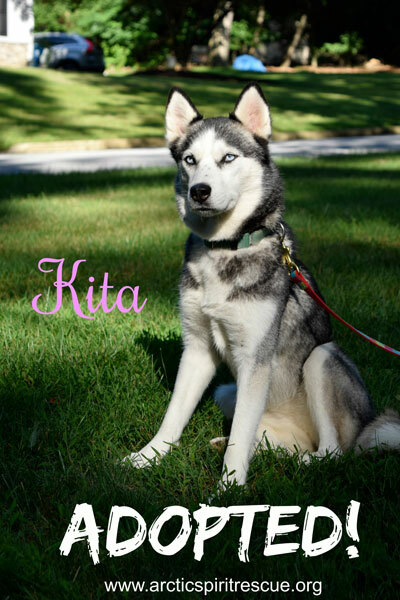 Kita is a beautiful young Siberian Husky who is looking for a Siberian experienced home. She’s a petite girl who soaks up every bit of human attention she can get. She’s had an interesting past which included numerous escapes, some of which were extended since this clever girl avoided numerous attempts to retrieve her. She is a master escape artist and will require an experienced home who is focused on keeping her safe at home where she belongs. She will waste no time at taking advantage of an unsecured door which is easily breached by her tiny athletic body. For this reason, we will not be placing her in a home with children. She will do best being placed with other dogs who will be respectful of her space. A secure fence will be required. We have had this adorable girl out at various public events and she’s done beautifully. No cats or small animals for this beauty. 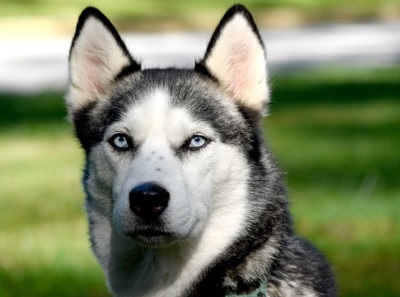 This charming Siberian is ready to move on to a home that will love and adore her. Kita has been adopted but we have other dogs looking for their forever homes. Check out our other dogs available for adoption!